Senior opposition leaders have convinced the top leadership of the Congress to persuade its respective state units in Delhi and Uttar Pradesh to agree to pre-poll alliances with regional parties in these two states. Feedback from the ground and internal surveys in the aftermath of Pulwama terror attack and 'surgical strike' have told the Congress that the BJP has succeeded in arresting the erosion in its support base. This has strengthened voices of those within the Congress who advocate that the party should focus on meeting the “bigger challenge” of defeating Prime Minister Narendra Modi-led Bharatiya Janata Party (BJP) by striking alliances wherever possible. A significant section in the Congress has been arguing that the party should strengthen its organisation in key states, particularly Delhi and UP, rather than cede ground to regional players and smaller parties - a throwback to its Pachmarhi line of 'ekla chalo', or walk alone. 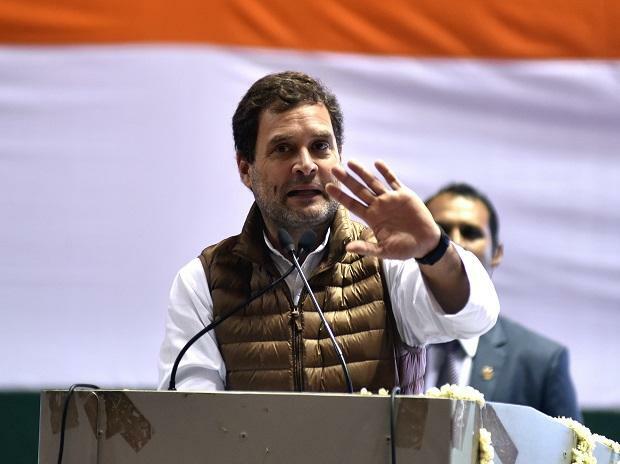 However, the Congress strategy is inconsistent as it is either in talks, or has finalized, pre-poll alliances with regional or smaller parties in Tamil Nadu, Karnataka, Maharashtra, Jharkhand, Bihar, Odisha, West Bengal and Assam. Nationalist Congress Party (NCP) chief Sharad Pawar, Telugu Desam Party president N Chandrababu Naidu, Trinamool Congress chief Mamata Banerjee and others, including emissaries of these leaders, are in contact with leaderships of the Congress, AAP, SP and BSP to facilitate forging of alliances in Delhi and UP and ensure maximum possible pooling of anti-BJP votes. “The NCP appreciates the responsible attitude of Delhi CM Arvind Kejriwal in trying to give shape to a pre-poll alliance for the seven Lok Sabha seats of Delhi. We appeal to the Congress party to have an alliance with AAP in Delhi to defeat Modi and Amit Shah-led BJP,” NCP leader D P Tripathi said. Within the Congress, party’s Delhi incharge P C Chacko, treasurer Ahmed Patel and former Delhi unit chief Ajay Maken favour a ‘respectable’ alliance with AAP in Delhi. However, the Congress has ruled out any alliance with AAP in Punjab and Haryana. As for UP, the NCP, Trinamool and others have asked the Congress leadership to recognize that Mayawati-led BSP was the stronger player in UP and that the Congress should not work to eat into the anti-BJP vote share in that state by fielding candidates in all of the state's 80 Lok Sabha seats. The Congress demand of 15 to 17-seats as part of the larger alliance in UP is considered unreasonable. The SP and BSP are unwilling to offer more than half a dozen seats to the Congress as part of their alliance. Sources said the Congress has shown interest in the last few days to negotiate afresh. Congress general secretary Priyanka Gandhi is scheduled to visit UP from Friday. On Wednesday, Congress president Rahul Gandhi met Janata Dal (Secular) chief H D Deve Gowda to discuss the alliance in Karnataka. The two parties are likely to follow a ‘one third-two third’ formula, with the JD (S) contesting nine of the state’s 28-seats. The Congress is in talks with Left parties for an alliance in Odisha. The alliance with Jharkhand Mukti Morcha and others in Jharkhand has nearly been finalised, as is the case in Tamil Nadu. The Congress and NCP are likely to seal their alliance in Maharashtra in the coming days. Sources in the Congress and rest of the opposition said much could change in terms of political permutations once the Election Commission announces the dates for the Lok Sabha polls in a couple of days.